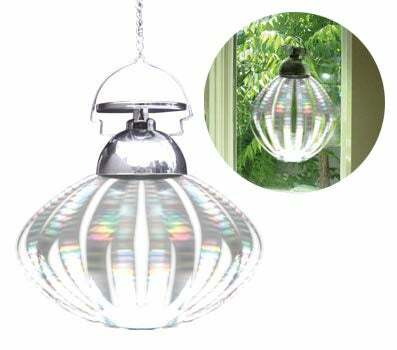 Hang this little bauble in the sunlight, and suddenly you have yourself a spinning solar disco ball. A solar cell on the top of the Solar Spinner powers a little DC motor that gets the thing turning. As it turns faster its sides stick out from the centrifugal force. Its refractive holographic film strips reflect a rainbow of colors, making it a rather attractive distraction.